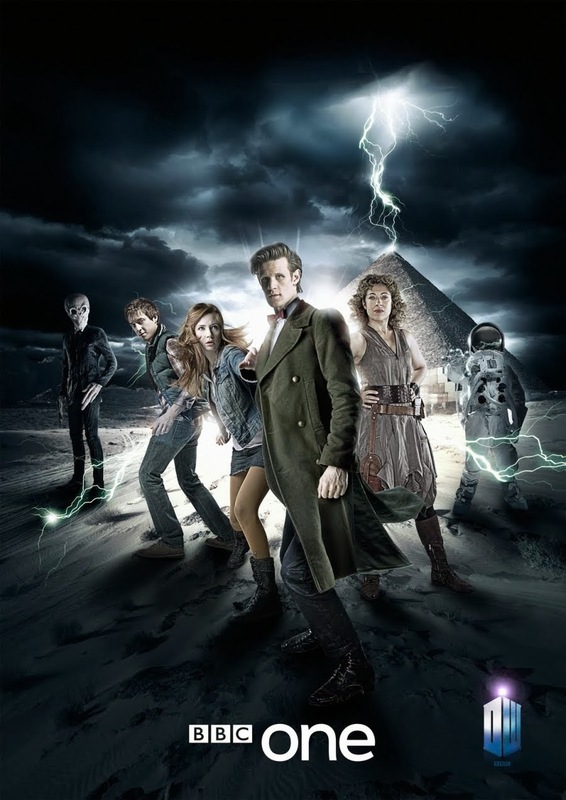 When Russell T. Davies returned the 900-year-old time/space traveling Doctor Who to our screens in 2005, millions rejoiced to see the return of his classic arch-foes like the Daleks, Cybermen and Sontarans, but many more were equally delighted by the introduction of some iconic new aliens into his pantheon of monsters, like the Weeping Angels, the Ood and The Silence. 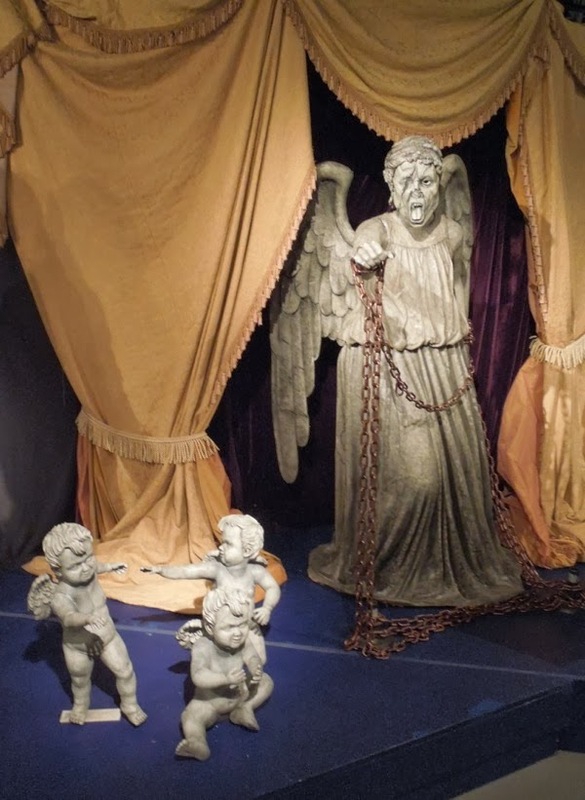 The 'Weeping Angels' are one of my favourite new Who monsters and they were first introduced in the tenth episode of third season of the Doctor Who revival, 'Blink', but have returned many times since. 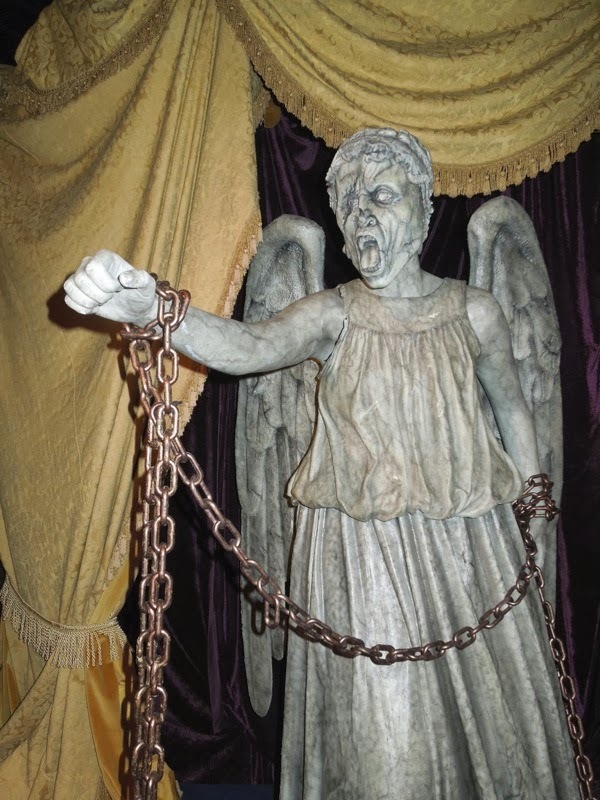 These long-lived beings feed by sending their victims back through time, which creates energy for them to feed upon. 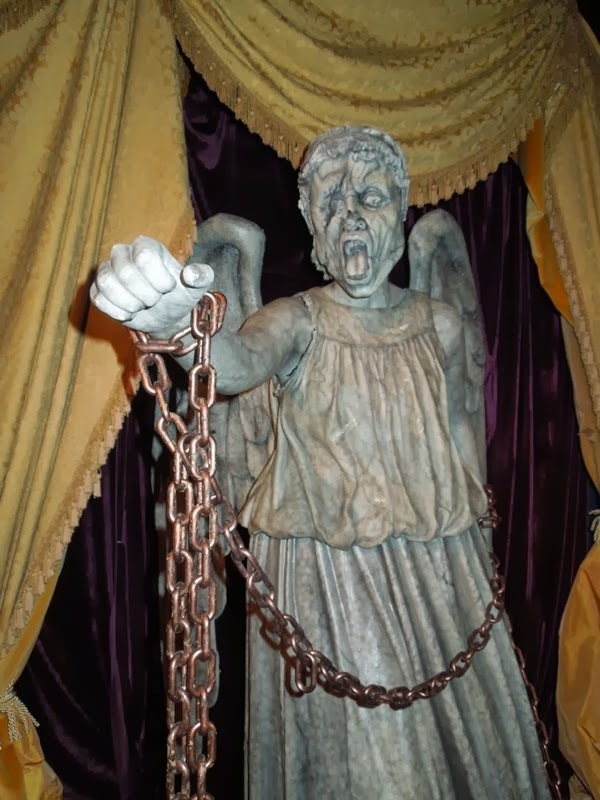 Unobserved they can move quickly, silently and deadly, but when they are seen they become 'quantum-locked' and statue-like. 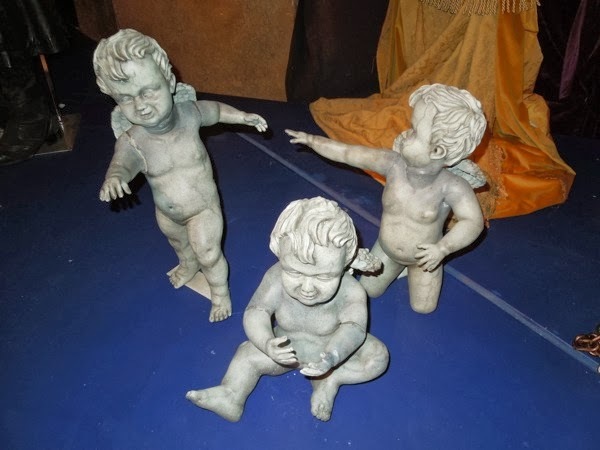 if two angels were to catch each others eyes they'd become trapped in stone and immoveable, hence why they tend to hide their eyes in their hands, which gives them the appearance of weeping. 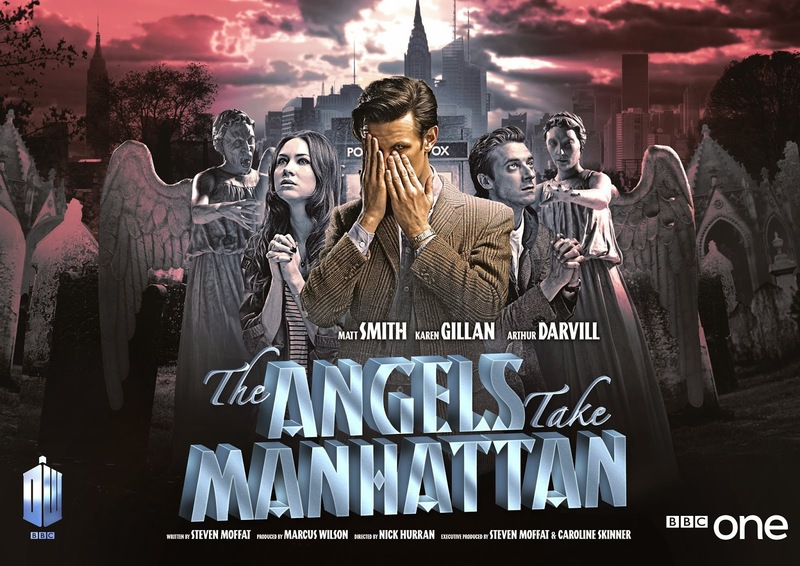 In the fifth episode of the seventh season, 'The Angels Take Manhattan', we meet infant cherub Weeping Angels for the first time and say a very sad farewell to the Doctor's married Companions 'Amy' and 'Rory'. 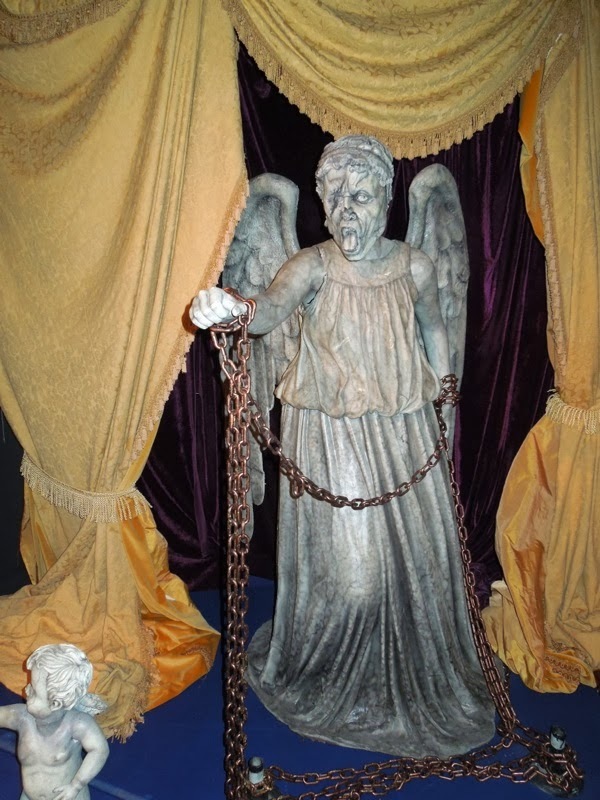 This chained angel and the baby angels are props that featured in that episode and were photographed on display at the Doctor Who Experience in Cardiff Bay, Wales on May 20, 2013. 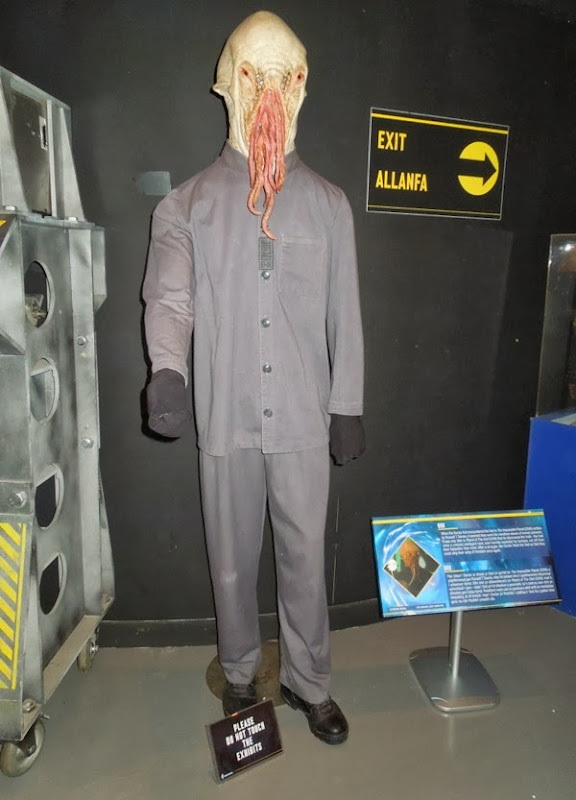 Another brilliant introduction to the 50-year-old British sci-fi series were the 'Ood', which were a civilized intelligent race who share a telepathic hive-mind, but were enslaved by humanity. We're first introduced to them as docile slaves in 2006's The Impossible Planet, the eighth episode of season two, who are psychically possessed by the 'Beast' to do his malevolent bidding. 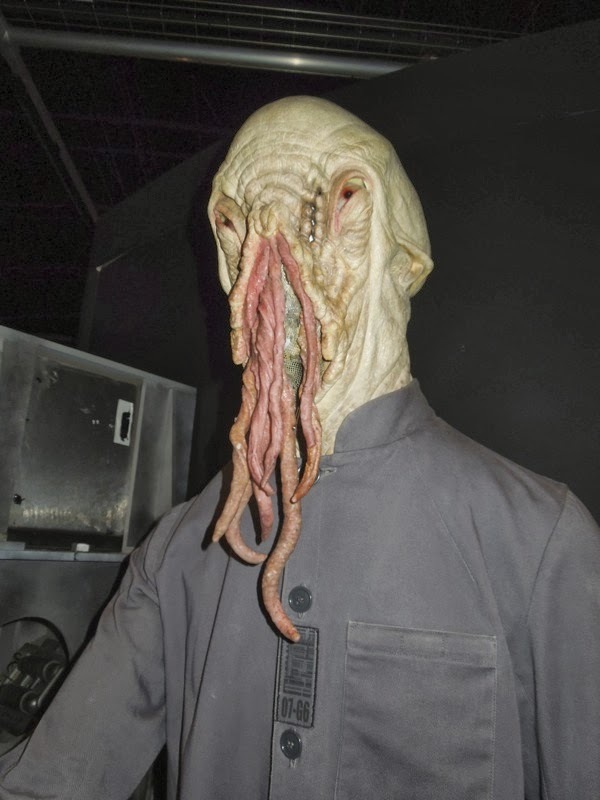 Their scary squid-like appearance certainly make them look like monsters, but as often is the case in Doctor Who, never judge a book by its cover. 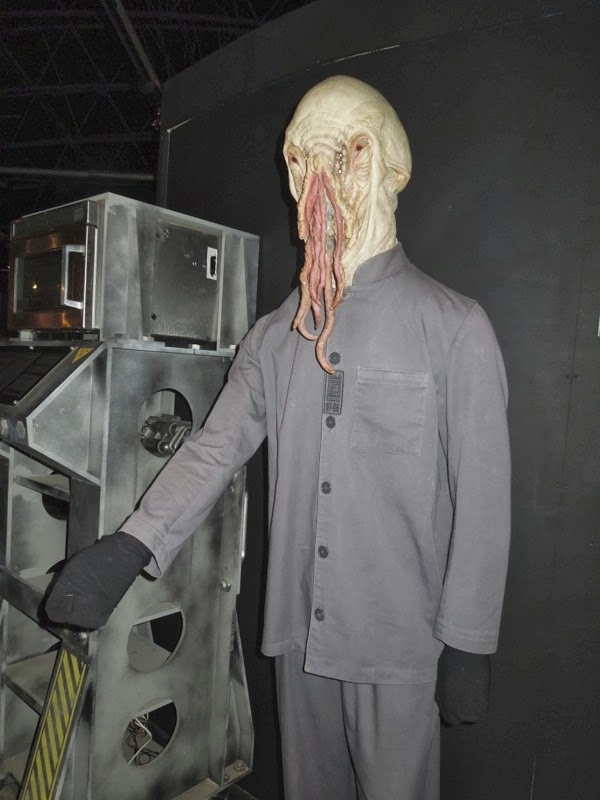 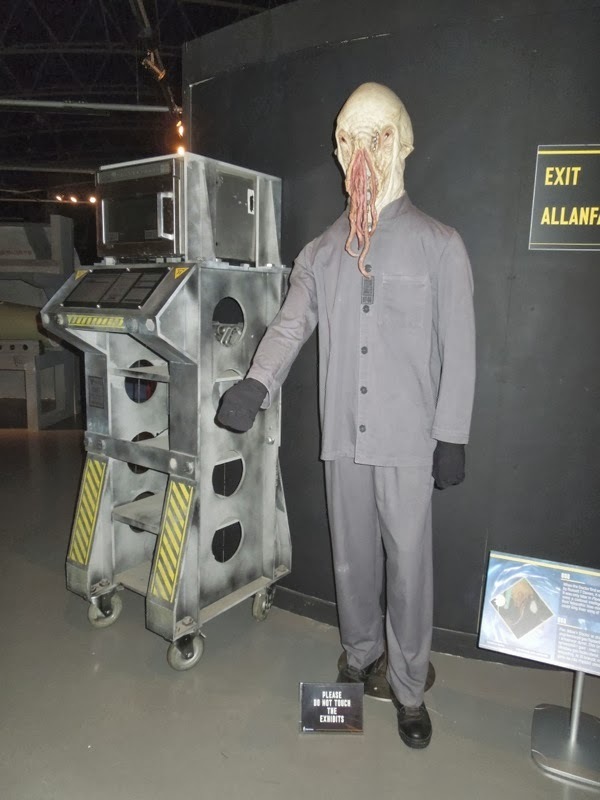 The Ood usually communicate via a translation sphere they hold in their hand, though that prop is not pictured here. 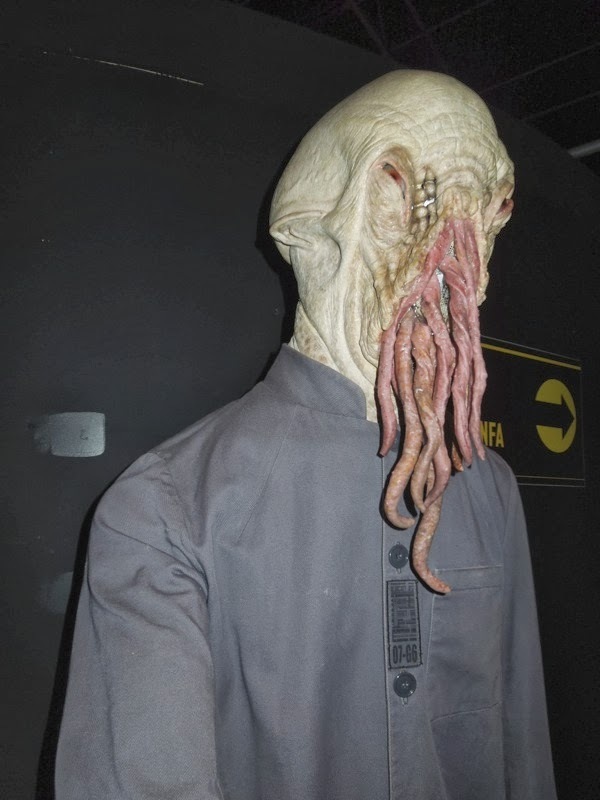 A third alien species which really stands out and are clear enemies of the Doctor and his friends, are 'The Silence'. 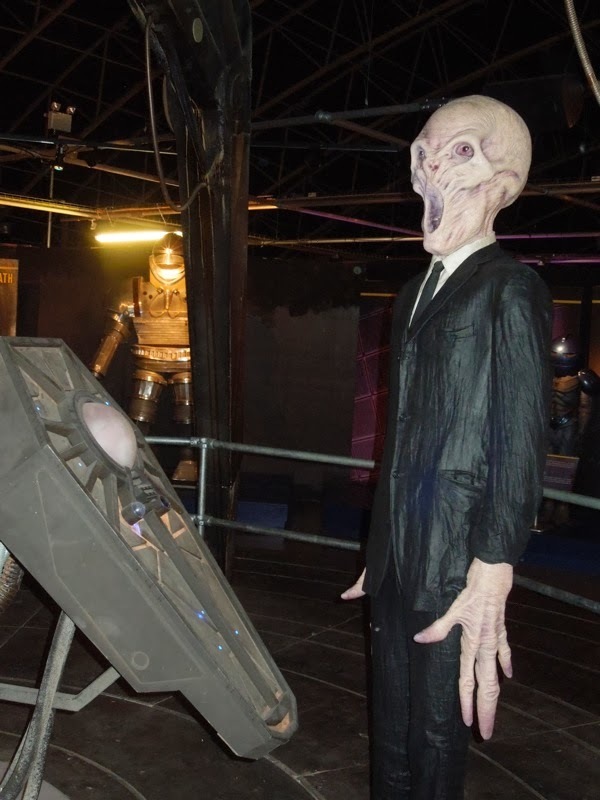 Introduced in the opening episodes of the sixth season, these tall aliens look pretty eerie in their dark suits, with their boney faces and shriveled elongated hands. 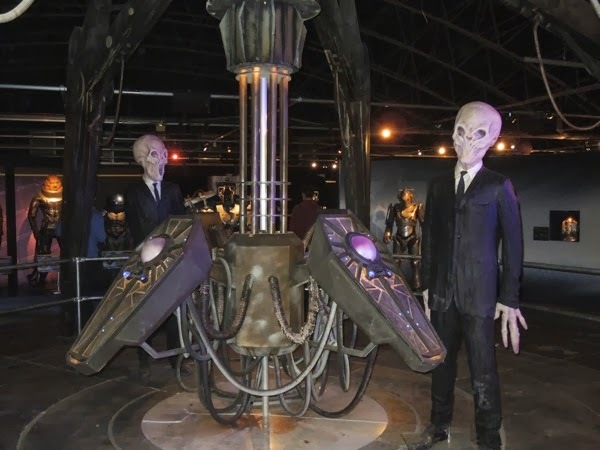 These 'Silents' use post-hypnotic suggestion to manipulate other races from the shadows to do their bidding and all memory of their existence is wiped when you look away from them. 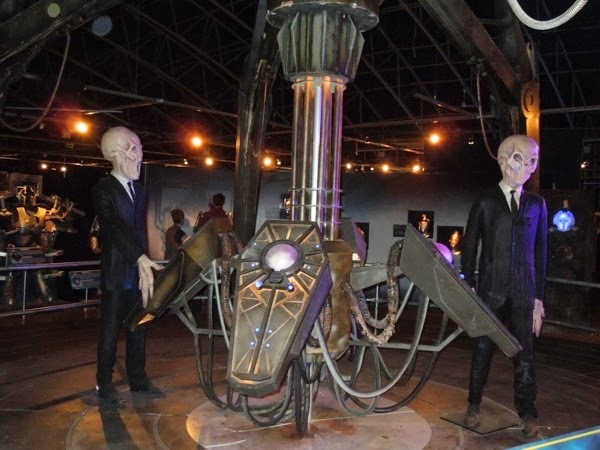 If you like these new aliens from the Doctor Who universe, be sure to also check out his classic foes Davros and the Daleks, the Sontarans and the Ice Warriors on display.